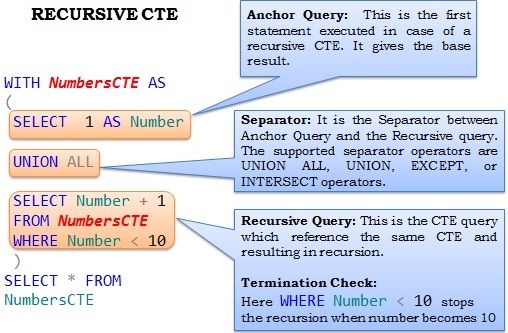 CTEs provide a mechanism to write easy to understand, more readable and maintainable recursive queries. 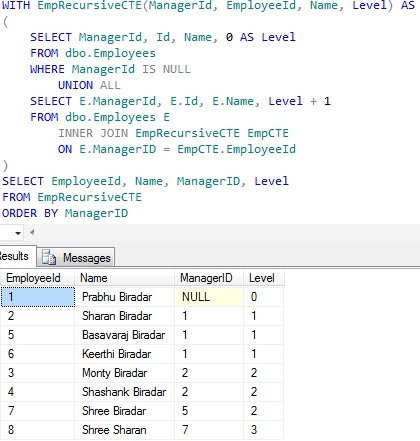 Prior to CTEs only mechanism to write recursive query is by means of recursive function or stored procedure. And these recursive functions or stored procedures support only up-to 32 levels of recursion. By default CTEs support a maximum recursion level of 100. CTEs also provide an option to set a MAXRECURSION level value between 0 to 32,767. Specifying it’s value as 0 means no limit to the recursion level, you agreed for a risk in case of a poorly written query resulting in infinite recursion level. By default maximum recursion level supported by CTE is 100. 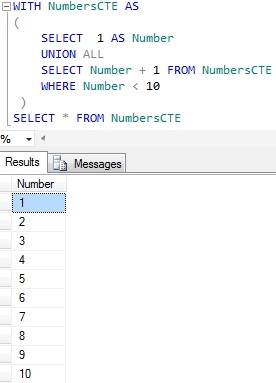 But CTE provides an option to change it by means of the MAXRECURSION hint. MAXRECURSION hint value can be between 0 to 32,767. Specifying it’s value as 0 means no limit. From the above result it is clear that, the CTEs default maximum recursion level is 100. How to change CTEs default maximum recursion level? From the above result it is clear that we can change the CTEs default maximum recursion by means of MAXRECURSION query hint. 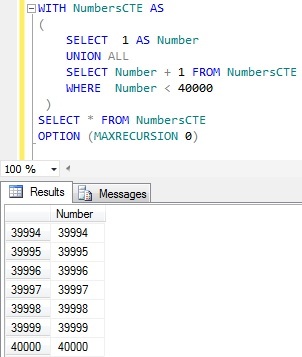 MAXRECURSION hint is very helpful in a scenario where poorly written CTE is resulting in an infinite recursion level, in such cases MAXRECURSION terminates the CTE once the defined recursion crosses. 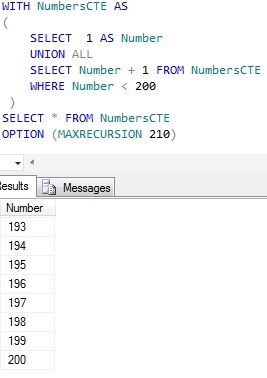 For example below is an infinite recursive CTE, but because of the MAXRECURSION hint value 210 it terminates the CTE execution once it reaches the recursion level of 210. Try to generate the numbers between 1 to 40000 by the below script, by specifying the MAXRECURSION query hint value as 40000. The value 40000 specified for the MAXRECURSION option exceeds the allowed maximum of 32767. From the above result it is clear that the maximum recursion level we can specify with the MAXRECURSION query hint is 32,767. How to support the recursion level greater than the maximum recursion level 32,767?